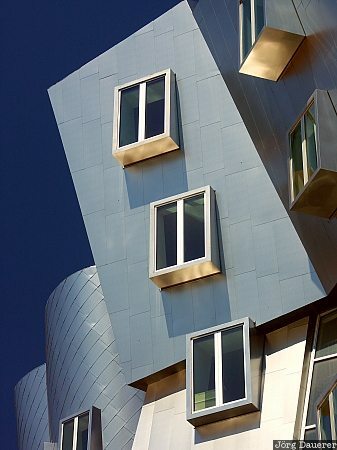 Windows of the modern Stata Complex of the Massachusetts Institute of Technology, Cambridge, Massachusetts, United States. This photo was taken at noon on a sunny day in August of 2004. This photo is part of the exhibition Windows (February 2007). This photo was taken with a digital camera.